You can get more custom themes at the app's theme web page. 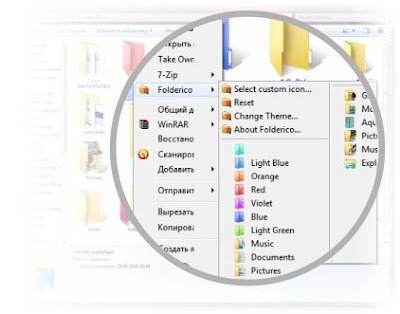 Folderico is a freeware for Windows Only. It works on most latest version of Windows including Windows 7.